Fall is the best time of year here at Tanners Orchard. The season wouldn’t be complete without a visit to our Farm Market, where you’ll find everything you need to celebrate autumn. 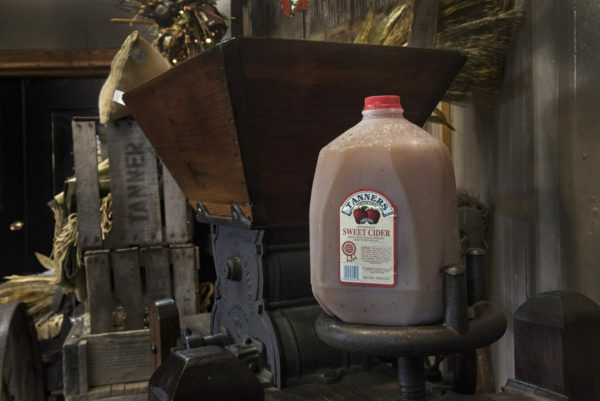 We are your #1 destination to buy fresh apples, pumpkins and apple cider. In fact, come on in and try a sample of our cider, then pick up a gallon or two for home. Warm it on the stove and enjoy with cinnamon sticks or try it cold for a refreshing treat. Of course, our top seller is our apples. With 17 varieties, from Honeycrisp to Golden Delicious, we have the best crunchy apples around. Grab a bag of apples from our apple table, then peruse our many other farm-fresh fruits and vegetables available throughout the season as well. 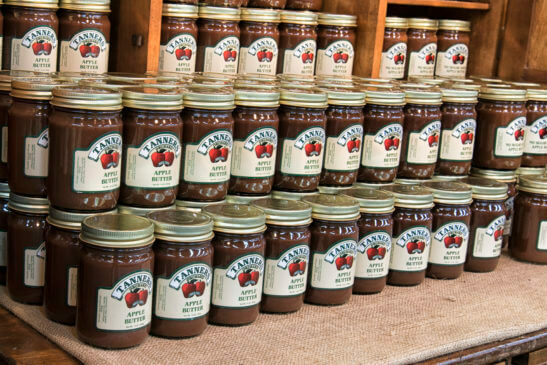 From delicious jams and apple butter to kettle corn and gourmet foods, you’re sure to find something you love. But we don’t just sell food here at the Farm Market. We also feature a variety of seasonal gifts, holiday décor and brightly colored mums. After shopping in our Farm Market, head on over to our Apple Bin Bakery to pick up some fresh homemade apple cider donuts, baked pies, fudge and much more. Just one trip to Tanners Orchard will fill your home with the aromas of fall! From delicious gourmet foods to seasonal décor and flowers, you’ll find what you’re looking for at our Farm Market. Call Tanners Orchard to learn more about our hours and what we sell each day at 309-493-5442 or email us at tannersorchard.com.